Argentina's Judiciary will rule today on the so-called Ciccone case. 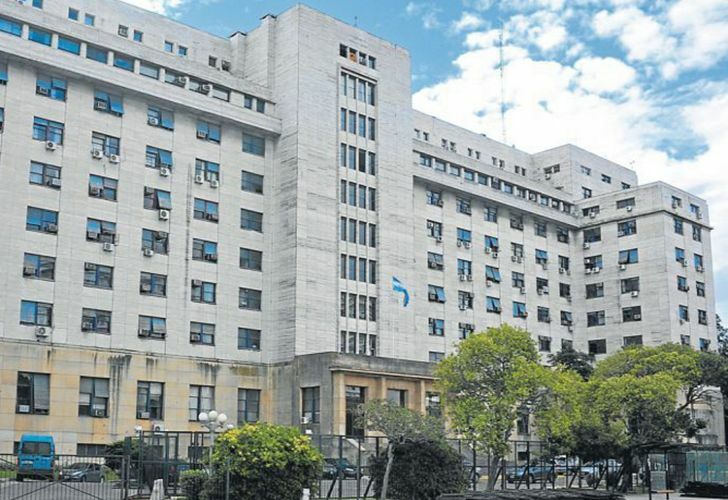 Several other disgraced former government officials are also scheduled to appear this week at the Comorodo Py courthouse in downtown Buenos Aires. In its first week following the winter break, Argentina's central courthouse Comodoro Py has been awash with lawyers and journalists. A criminal tribunal there will rule today on the so-called Ciccone case, as several disgraced former government officials are set to parade through the hallways of Comorodo Py to face up to corruption allegations. The former driver at the centre of an ongoing scandal surrounding an alleged graft ring involving high-ranking officials in the former Cristina Fernández de Kirchner administrations, Oscar Centero, appeared in Comodoro Py on Tuesday. He is one of a handful of people tied to the alleged graft ring that will appear in court this week. Former Planning Minister Julio de Vido will testify Friday while Senator Fernández de Kirchner is scheduled to appear in court next Monday. Meanwhile, CFK's former vice-president Amado Boudou faces arrest and jail this afternoon if the court rules against him in the trial involving his alleged participation in the fraudulent acquisition of Ciccone Calcografica, the only facility in Argentina with the capacity to print legal tender, in 2012. The Ciccone verdict had originally been scheduled for mid July. Another big name scheduled to appear in court on Tuesday was José López, the former Planning ministry official who was caught throwing bags of cash totalling US$ 9 million over the wall of a Catholic monastery in 2016. López is currently in jail on a preventative arrest order for alleged embezzlement. The trial against him begins today however judicial sources told Perfil that López may not appear in court, since prosecutors first want to question three other defendants. Federal Judge Sebastián Casanello will also begin questioning former officials and businesspeople this week about the AYSA water treatment plants, the contracts for which are linked to the international Odebrecht corruption scandal. Benito Roggia and Tito Biagini, businessmen, will testify on Wednesday while Julio de Vido is scheduled to appear on Thursday. Former Argentine Construction Chamber president Carlos Wagner is also facing charges in the AYSA fraud case. Like De Vido, Wagner is also under scrutiny in the ongoing 'notebook' graft scandal.